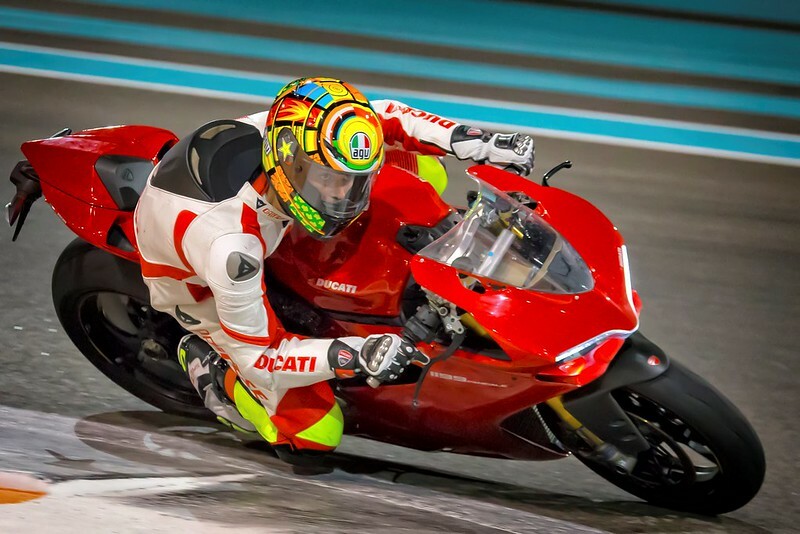 Yas Marina Circuit this week hosted the prestigious Ducati Riding Experience (DRE), the first venue ever to have hosted the world’s top rider training programme outside of the brand’s home country of Italy. 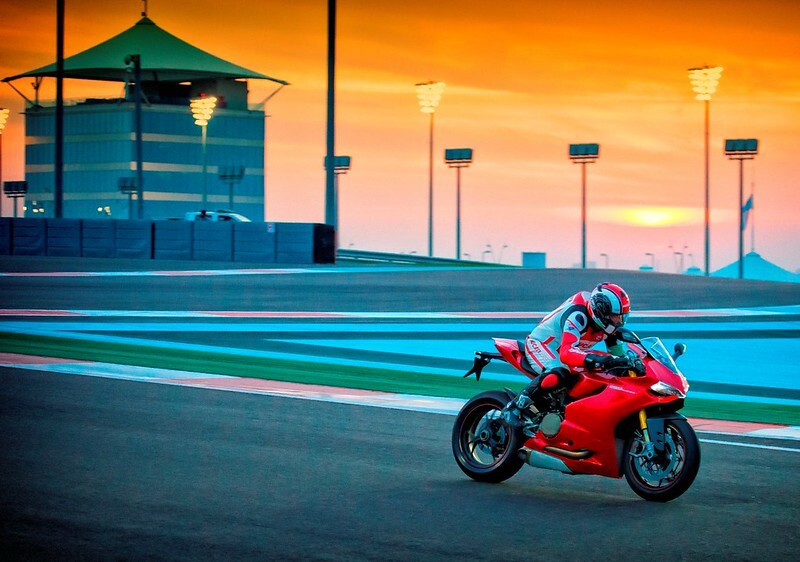 Ducati customers from across the globe travelled to Abu Dhabi to push the company’s acclaimed 1199 Panigale S superbike to the limit, all under the expert guidance of Ducati’s highly decorated instructors. Ducati’s nine instructors boast eight world motorbike championship titles and numerous national championships between them, and were on hand to tutor the potential racers who flew in from around the world. Participants included riders from the UAE, Saudi Arabia, Bahrain, Italy, Russia, Kazakstan and Switzerland. 54 riders were divided into groups of three per instructor to ensure they each received one-to-one tuition while on circuit. Each rider got the chance to do six on-track sessions including two Master Racing Course sessions, which allowed them to fully exploit the capabilities of the 195bhp Super Quadra engine of the 1199 Panigale S.
The Master Racing Course is one of the most advanced DRE courses and is regarded as the best rider training programme organised by a motorcycle manufacturer. Designed for riders who want to race competitively or attend extreme track day events; the Master Course offers personalised instruction to help riders reach their full potential. The 1199 Panigale S was launched at Yas Marina Circuit earlier this year and is the most exotic superbike in the Ducati range. Like the bikes the Ducati Moto GP team operates, the Panigale S is equipped with a Ducati Quick Shift (DQS); This is an electronic system that manages the gearbox and is used in competitions. It allows the gear to be engaged on acceleration without the use of the clutch and while maintaining the throttle open. The feature enables the rider to gain precious fractions of seconds, helping to considerably reduce lap times. The full range of Ducati bikes and accessories are available at the Ducati dealership in Dubai and the company’s all-new Abu Dhabi showroom, which was launched earlier this year and is the world’s biggest Ducati dealership. For more information on Ducati UAE, fans can head online to http://www.ducati.ae or the Ducati UAE facebook page. Founded in 1926, Ducati motorcycles are the purest expression of refined engineering, unmistakable design and, above all, passion for bikes. Over the years the Ducati brand has been extremely successful in international racing, winning one MotoGP title, 14 World Superbike titles, eight British Superbike titles and two AMA titles.